The founder and CEO of IndigoVerge Ilia Iordanov will be presenting his company and the opportunities for IT business in Bulgaria at the business forum “Oslo meets Sofia”. The event will take place between May 1 and May 5, 2017 in Oslo, Norway and is the second event of its kind, supported by the Fund for Bilateral Activities, part of BG10-Green Industry Innovation Programme Bulgaria. 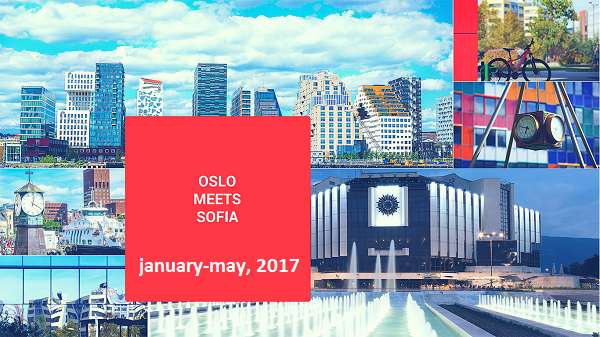 The first event took place between January 24 and January 26, 2017 in Sofia, under the slogan “Oslo meets Sofia”. The forum is organized by Sofia Investment Agency (part of Sofia municipality) in cooperation with Innovation Norway (Norwegian state owned entity). The current forum has its primary focus on IT, Energy and Clean technology. Ilia Iordanov will present to Norwegian businesses his company IndigoVerge, which operates in the sphere of IIoT-based solutions and has 10+ years experience with projects for customers in USA, Austria, Germany, Sweden and Denmark. The company is specialized in consulting, development and integration of IIoT solutions, thanks to which customers can optimize the manufacturing processes, improve their technical support and provide value-added services like monitoring and prevention of equipment failures. IndigoVerge is one of the fastest growing IT companies in Bulgaria, member of the Bulgarian association of software companies BASSCOM. Several projects developed by the company have been awarded the ‘Young Entrepreneur’ award by the President of Bulgaria. During the Oslo event IndigoVerge will be sharing their experience and contribution for the development of the IT sector in Bulgaria and will be seeking new partners for future project collaboration.